General Works. General histories are always hard. How to capture the sweep of history, especially when it’s as long and eventful as Cuba’s? But at the same time, how also do you avoid turning all that accumulated history into a ponderous textbook… the kind you ran away from in school? 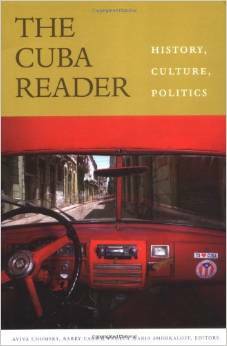 The Cuba Reader is a good place to start. It’s a series of excerpts and shorter writings (primarily first-person accounts) that cover everything that has happened in Cuba. A nice panorama. 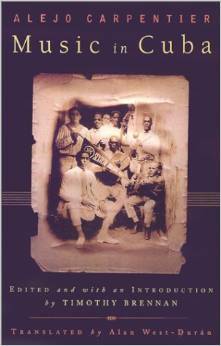 Cuba: A Short History is a very short history of the country, clocking in at all of 150 pages. 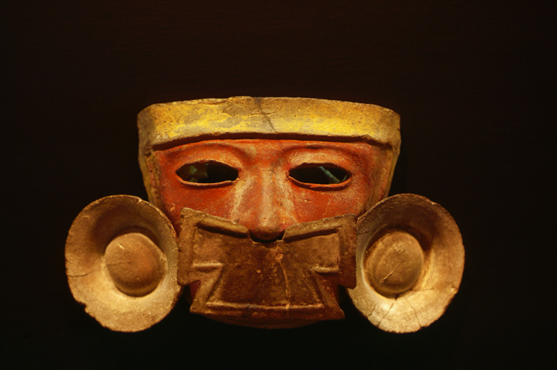 It is a series of historical essays drawn from The Cambridge History of Latin America, and each essay is by a titan of Latin American history. It is written in formal British style, and somewhat dated in that it only goes up to the early 1990s, but it has some great info. Cuba: A Traveler’s Literary Companion is a nice collection of writings by some of Cuba’s greatest authors, arranged by region to help give readers a sense of place. The Reader’s Companion to Cuba is the inverse of the book above, providing a great collection of travel writings by visitors to the country, starting in the 1800s. Havana is one of the world’s great metropolises. Its magnificent harbor allowed it to become one of the Spanish Empire’s most important cities, and later a center of global commerce. It wears its history proudly. Havana: History and Architecture of a Romantic City is a gorgeous coffee table book brimming with one dazzling photo after another. A great pictorial introduction to the city. The History of Havana is a good general history of the city, with coverage about some of its more quirky denizens. Havana: Two Faces of the Antillean Metropolis is a great work by three well-known architects and urban planners that traces the city’s history and urban development. The Havana Guide: Modern Architecture, 1925-1965 captures a particularly fascinating chapter of the city’s history. 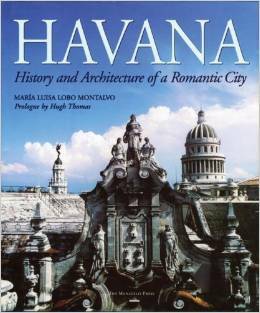 Havana: A Cultural and Literary Companion is a nice overview done primarily for travelers. It is somewhat like a guidebook, but one that seeks to bring the city alive through a series of anecdotes and cultural details rather than hotel or restaurant recommendations. Music. For being a relatively small country, Cuba has had a huge impact on music across the globe. Music in Cuba. This is the Bible. It was written by Alejo Carpentier, one of Cuba’s greatest writers who just happened to also be a brilliant musicologist, as well as a sometime composer. Again, the Bible. Cuba and Its Music: From the First Drums to the Mambo. Another comprehensive overview of Cuban music by the co-founder of the important Cuban music label Qbadisc. Cuban Music A – Z is a helpful encyclopedia of Cuban music and musicians. Lots of clear info. Listening in Detail: Performances of Cuban Music is a innovative work that looks at Cuban music within its social, cultural, and political contexts. The Cuban Revolution. This is a hard one—so many of the books written on the subject are little more than pro- or anti-Castro polemics. I’ve tried to suggest books that take a more nuanced view. A History of the Cuban Revolution is a keeper, with good information and a lively discussion of the issues. 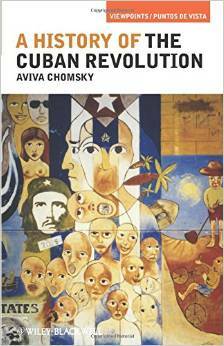 Cuba: Between Reform and Revolution is a classic, now in its fifth edition (I think earlier ones are available for Kindle). Castro’s Cuba, Cuba’s Fidel is fascinating. Lee Lockwood, an American journalist, was in the right place at the right time—he was on hand as Fidel Castro came to power. He was able to gain Castro’s trust; remarkably, Castro agreed to a series of unparalleled interviews with Lockwood in the late 1950s and 1960s. This is a close, personal view into what Castro hoped to achieve through the Revolution (for good or for bad)… and provides valuable background to what’s happening now. Finally, a few ideas about fiction and literature. José Martí: Selected Writings. 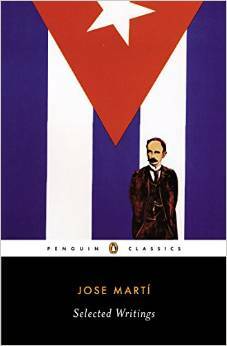 A collection of the greatest works by Cuba’s greatest man of letters. Although Martí died before Cuba achieved independence, he is honored as one of the country’s founding fathers, and a symbol of Cuban nationalism. Old Man and the Sea is one of Hemingway’s greatest, and most popular works. Participants on the Minnesota Orchestra tour were given copies of their own, in preparation of the trip. Islands in the Stream is another of Hemingway’s classics with a strong Cuban presence. Published nine years after Hemingway’s death, it’s hard not to see a great deal of the author in the life and adventures of the main character. Our Man in Havana. First published in 1959, Graham Greene’s work is part thriller, part character study, and part satire. What happens when a vacuum-cleaner salesman is forced to become a spy in order to pay the bills? Very good read full of espionage-related hijinx. Explosion in a Cathedral is one of Alejo Carpentier’s masterpieces (again, he’s one of Cuba’s greatest writers). It deals with the fallout of the French Revolution as it plays out in Cuba and the Caribbean. The Lost Steps is a curious novel, about a composer/anthropologist who travels to South America in search of primitive instruments. Reflects Carpentier’s fascination with music and his endless struggle to find his place in the modern world. This is just scratching the surface—I haven’t badgered you about topics like rum and the sugar trade, Santería, slavery, or contemporary culture—but I hope this whets your appetite. Do you have other suggestions? Questions? Rebuttals? Let me know! This entry was posted in Cuba Tour 2015, Minnesota Orchestra and tagged Cuba, Cuban history, Cuban music, Cuban Revolution, The Minnesota Orchestra by Scott Chamberlain. Bookmark the permalink.